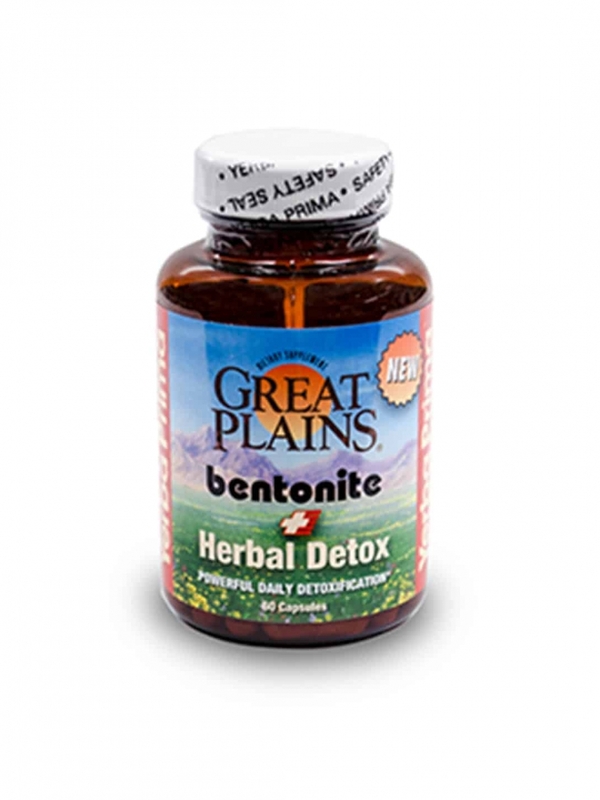 WHY DO WE NEED BENTONITE + HERBAL DETOX? Toxins are everywhere in our world. They are in the air we breathe, the water we drink, and the food we eat. Recent tests have shown that toxic chemicals are even present in mothers milk, typically considered one of the purest forms of nutrition! Because many harmful substances are fat-soluble, they can stay in our bodies for years, causing all sorts of subtle and not-so-subtle imbalances. Our bodies are equipped with a detoxification system to keep us healthy. The skin, kidneys, and lungs all play a part, but the main organ of detoxification in the body is the liver. In fact, up to 25 percent of our blood is located in the liver at any given time, where it is being filtered and cleaned. The liver uses a two-phase detoxification process. During Phase I, some chemicals are eliminated, while others are converted to intermediate forms. 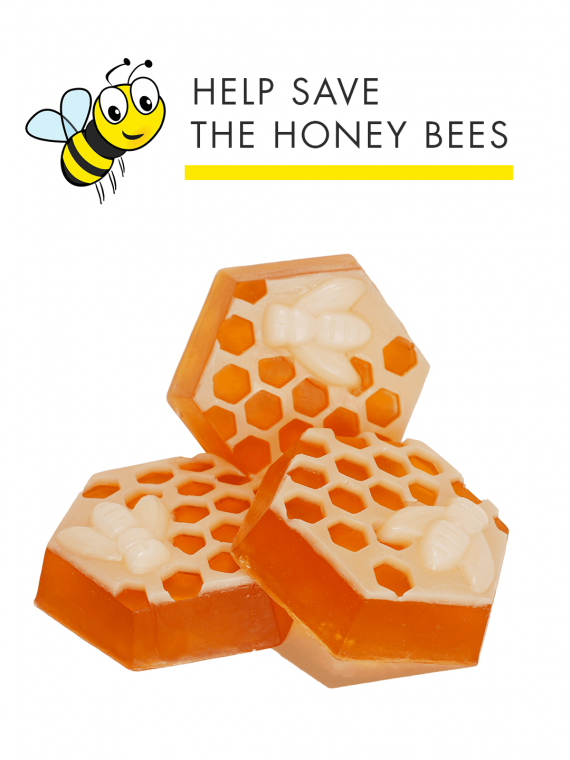 During Phase II, these intermediate forms are made water-soluble and then eliminated. Unfortunately, in our toxic world, sometimes the job of detoxification is more than the liver can handle. 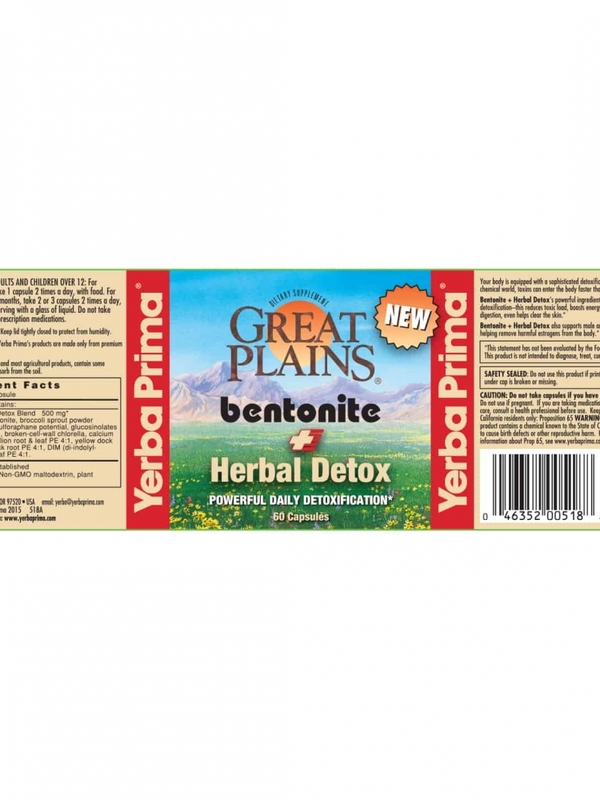 That’s why Yerba Prima has formulated Bentonite + Herbal Detox. 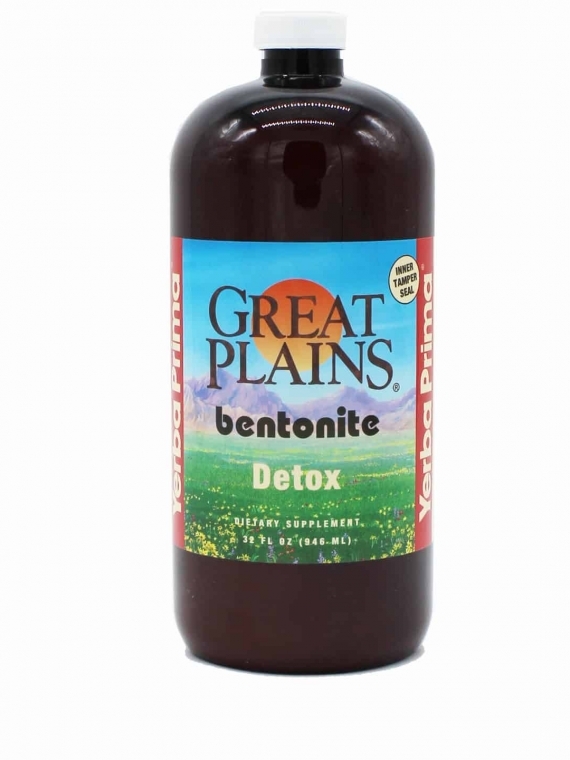 The key ingredient of Bentonite + Herbal Detox is bentonite clay, which has been used for internal and external purification by indigenous cultures on almost every continent since antiquity. Clay is not digested, but passes through the gastrointestinal tract, where it binds to unwanted substances and removes them from the body through the stool. Promote detoxification: Di-indolyl-methane (DIM) forms naturally in the body after eating cruciferous vegetables such as broccoli and kale. Calcium-D-glucarate is a special form of calcium naturally produced in the body. Both DIM and calcium-D-glucarate promote phase I and phase II detoxification pathways in the liver, preventing the buildup and accumulation of toxins. Purify and build the blood: Chlorella, a single-celled blue-green algae, has a unique molecular structure that allows it to bond to toxins and carry them out of the body. It also supplies chlorophyll, a compound closely related to hemoglobin that improves oxygenation of the blood. 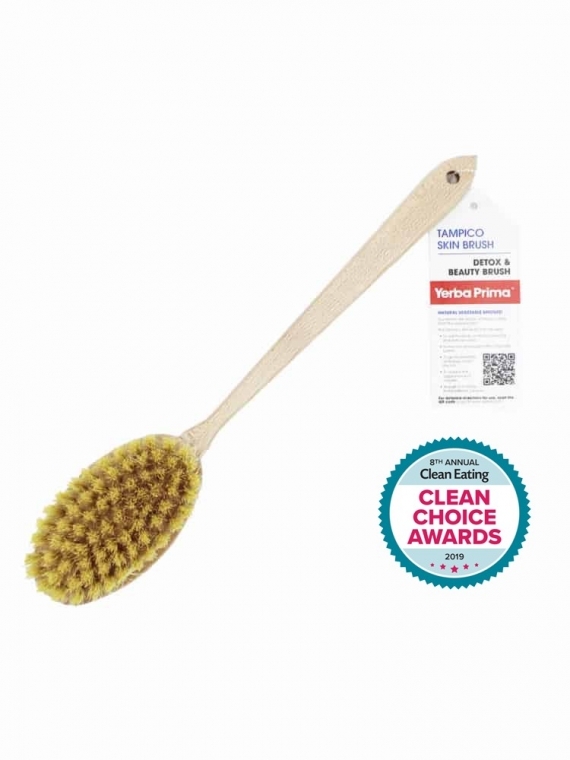 Burdock, dandelion, yellow dock, and stinging nettle have all traditionally been used to cleanse the blood and clear the skin. 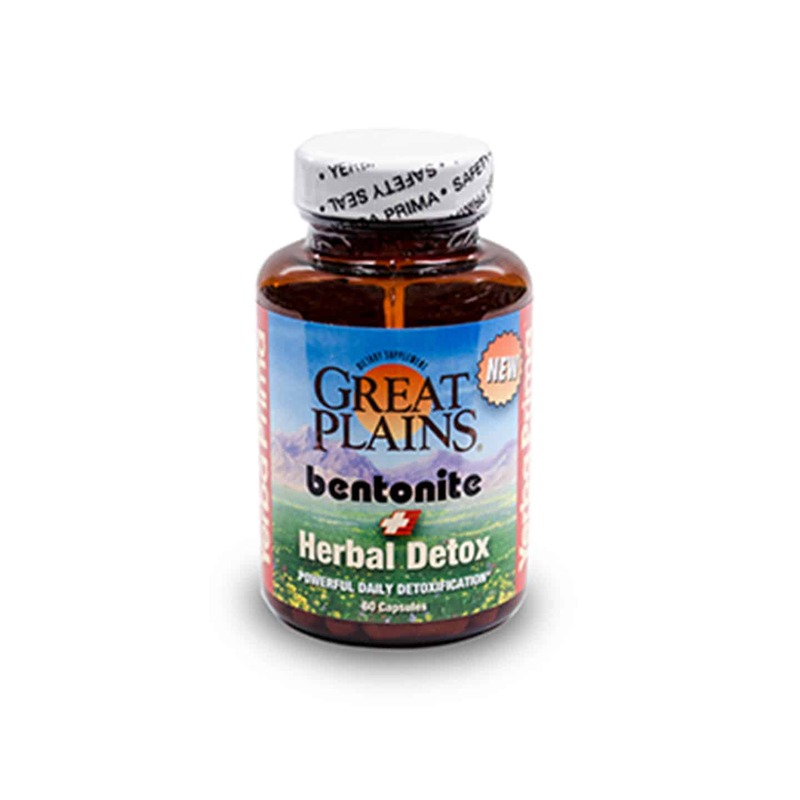 Promote gastrointestinal health: The herbs in Bentonite + Herbal Detox also gently stimulate the bowels to ensure healthy elimination, ensuring toxins leave the body. Men and women both produce estrogen, and in both genders, too much or too little can create problems. Many environmental toxins, such as BPA, are foreign estrogens that can occupy human estrogen receptor sites disrupting hormonal balance. Plus, with age, the body may start to metabolize estrogen differently, producing less of the desirable type of estrogen (2-hydroxy or 2-HE) and more of the undesirable type (16-hydroxy or 16-HE). 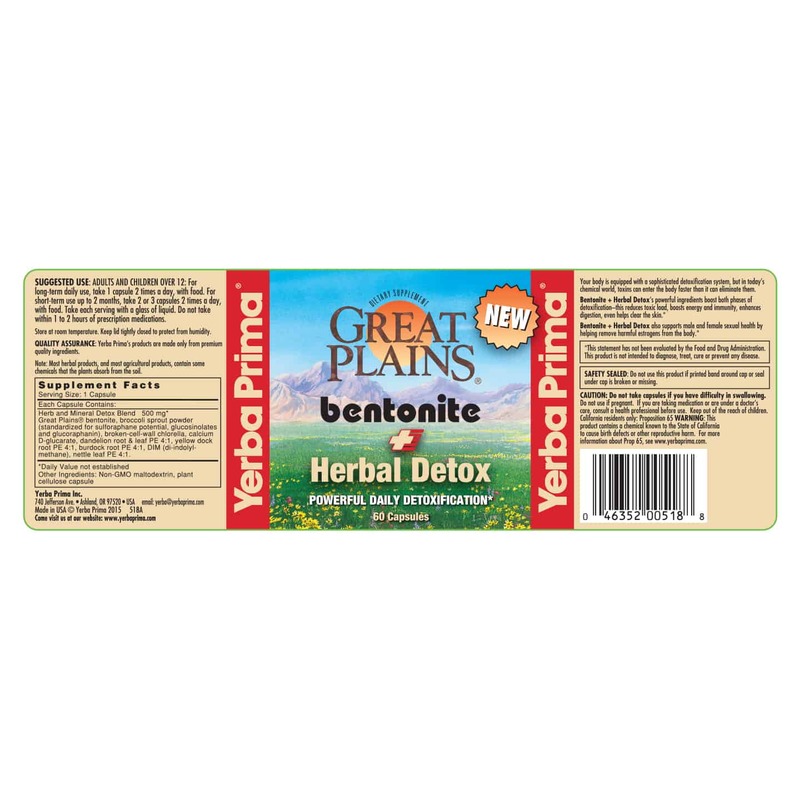 Bentonite + Herbal Detox supports hormonal balance in both genders. DIM blocks the conversion of testosterone into estrogen, and both DIM and broccoli sprouts increase levels of 2-HE and decrease levels of 16-HE. Research shows that women with a healthy ratio of 2-HE to16-HE are more likely to enjoy breast health, while men with a healthy ratio are more likely to enjoy prostate health. Store at room temperature. Keep lid tightly closed to protect contents. Do not take capsules if you have difficulty in swallowing. Do not use if pregnant. If you are taking medication or are under a doctors care, consult a health professional before use. Keep out of the reach of children. 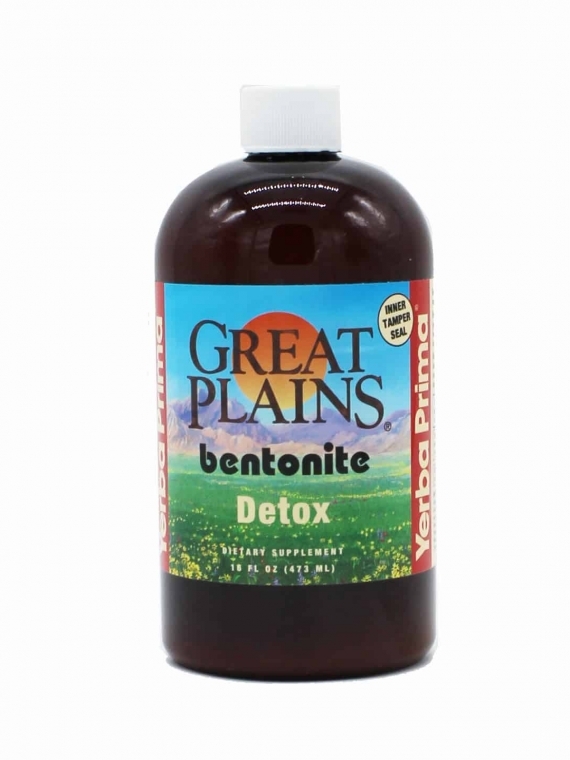 Great Plains bentonite, broccoli sprout powder (standardized for sulforaphane potential, glucosinolates and glucoraphanin), broken-cell-wall chlorella, calcium D-glucarate, dandelion root & leaf PE 4:1, yellow dock root PE 4:1, burdock root PE 4:1, DIM (di-indolyl-methane), nettle leaf PE 4:1.